In May 1833, Daniel Wilson, Calcutta’s Lord Bishop, wrote to his family in England: “The weather is perfectly suffocating. None can pity us but those who know our sufferings”. The The British East Indian Company looked for means to get regular supply of ice for the European community in all seasons. Every winter, ‘Hooghly ice’ regularly arrived in the city in large quantities from Chinsurah, about 40 kms away. But this was filthy ice, more like slush, made by freezing water in shallow pits. This was not the kind of ice what the Company wanted for Calcutta. The demand was satisfactorily met through the venture of Frederick Tudor, a Boston merchant, of transportation of this extremely fragile commodity from the US on his specially equipped ship, Tuscany. The ice that Tuscany brought was sparkling clean Massachusetts ice. Calcutta’s British residents raised enough money to set up an ice house to preserve the precious cargo. At four annas a pound, Massachusetts ice was cheaper than the Chinsurah slush. The ‘frozen water’ trade, as it was then called, flourished. 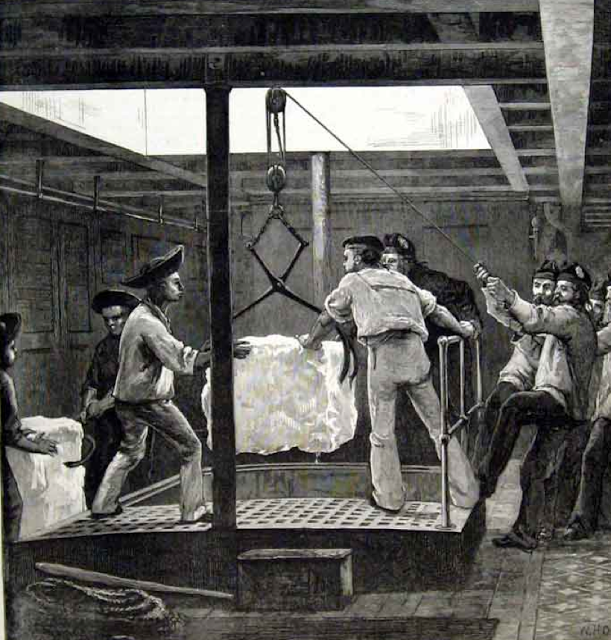 Ships carrying ice arrived at regular intervals—from a modest 100 tonnes in 1833, the trade increased to almost 3,000 tonnes in 1847. The price of ice also came down to about two annas per pound. Often, ships bringing ice would get delayed. Ice was rationed and one had to produce a doctor’s certificate to get it. Over a period of 20 years, Frederick Tudor made a profit of US $220,000 just from Calcutta and went on to become the ‘ice king’. Ice continued to be exported to India for another fifty years with ice-houses in Calcutta, Bombay and Madras as well.But in 1862, the world was introduced to ice-making machines and one in particular met the fancy of the colonial state: Siebe’s Ether Ice-machine. In 1878, with the formation of the Bengal Ice Company, India’s first ice factory, followed by the Crystal Ice Company, sounded the death knell for the American ice trade. 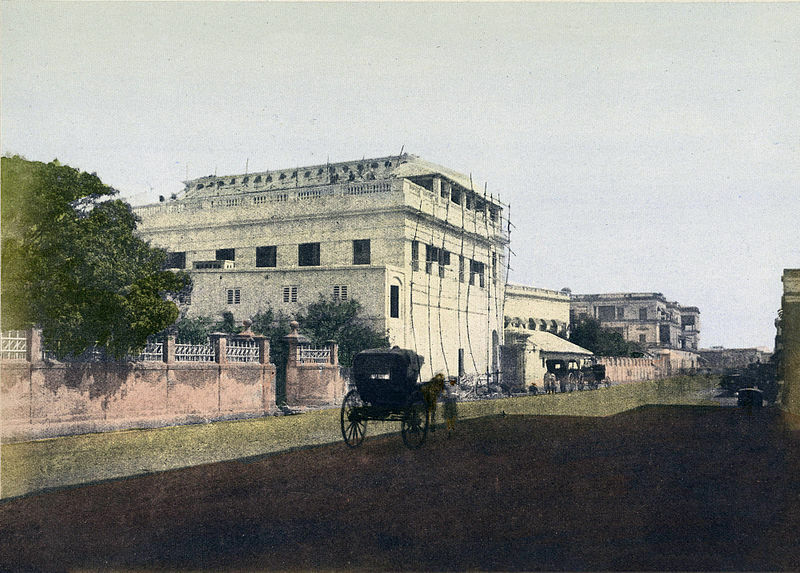 The two companies soon amalgamated under the style of the present Calcutta Ice Association, Ltd. See more The ice houses at Calcutta and Bombay no longer exist. This view of Ice House, Calcutta, is from a hand-coloured photographic print by Frederick Fiebig, dated 1851. Courtesy of the British Library, London. This entry was posted in Commercial Houses, Factories, Warehouses, Ways of Life and tagged bengal ice company, calcutta ice association, chinsurah slush, clipper tuscany, crystal ice company, daniel wilson, east indian company, frederick tudor, hooghly ice, king of ice, ltd., massachusetts ice, old calcutta. ice imported across the 7 seas and then a doctor’s prescription to buy it! A fortune struck before it the melt down. Thank you for continuously inciting the sense of wonder!! !